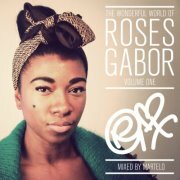 TERRI WALKER MUSIC: MUSIC: ROSES GABORS MIXTAPE!!!! IF YOU DONT DOWNLOAD THIS YOU MIGHT AS WELL NOT LIVE!!! MUSIC: ROSES GABORS MIXTAPE!!!! IF YOU DONT DOWNLOAD THIS YOU MIGHT AS WELL NOT LIVE!!! Pic courtesy of Kevin Morosky and mixed by Martelo!!!! Woiiiiyooiiii!! !